There are plenty of weather conditions and other events that can wreak havoc with any homeowner’s roof. Rain, snow, ice, wind and falling tree limbs… lots of potential roofing issues can arise as a result, either suddenly or gradually. But do you ever consider the effects of moss, that seemingly innocuous, ever-present west coast plant, on your roof? Probably not, but take heed: those flowerless little green demons are busily releasing spores and reproducing as we speak. What Causes Moss Accumulation and Why is it a Problem? Moss is actually a mass of tiny plants called bryophytes that love damp habitats. You can tell at a glance when moss has been proliferating on your shake or cedar shingle roof, which provides it with an ideal breeding ground. The plants look for porous materials that their roots (actually rhizoids) can latch into and actively soak up water through rainfall. The moss actually gets in between the individual grains of the wood and splits them, allowing moisture to infiltrate. Not surprisingly, the Vancouver area has a problem with moss issues because of its relatively mild and frequently damp environment. Roofing and repair services, including regular inspection, can provide the necessary fight against moss accumulation on a homeowner’s roof, keeping it in great working order. The first and most effective measure against moss accumulation from a roofing and roof services provider is timely inspection. Have a pro look for the presence of moss and especially for any damage it may have caused or be in the process of creating. It’s important to remove moss to prevent premature deterioration of cedar shingles or shakes. Although this kind of wood has natural phenols that help reduce rot, they don’t prevent it altogether. The sponginess of moss holds moisture and keeps the wood from drying out; the thicker the moss is on your cedar roof, the more quickly it will rot. An experienced roofing company knows that the bottom of the shingles can be the trickiest to clean. Their exposed end grain makes them particularly susceptible to moss growth and, due to being the thickest portion of a shake or shingle, normally the last part to dry. 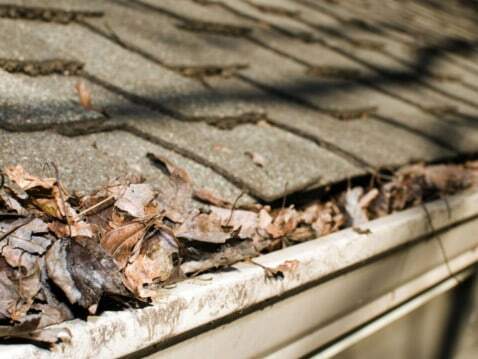 When a roof has a lot of debris on the surface, especially organic matter like leaves, chances of moss or fungal growth are much higher. The debris holds moisture and moss can easily take root when wet areas develop. Trim any overhanging branches to reduce shade and falling leaves and needles. Keep your roof clean and free of plant debris, always clearing from top to bottom. Watch for early signs of moss growth that can be spot-treated, usually a green or black discoloration. Have your roofing company mount zinc strips in strategic areas, galvanized flashing, or zinc-impregnated roofing. It’s no surprise if you have moss growth on your roof right now—the tiny plants are generally dormant during dry weather and get going again with rainy cycles, starting in early winter. Moss certainly has a welcome place in many gardens and our local rainforests, but letting it accumulate on your roof can end up costing you another kind of “green”—the hard-earned kind.